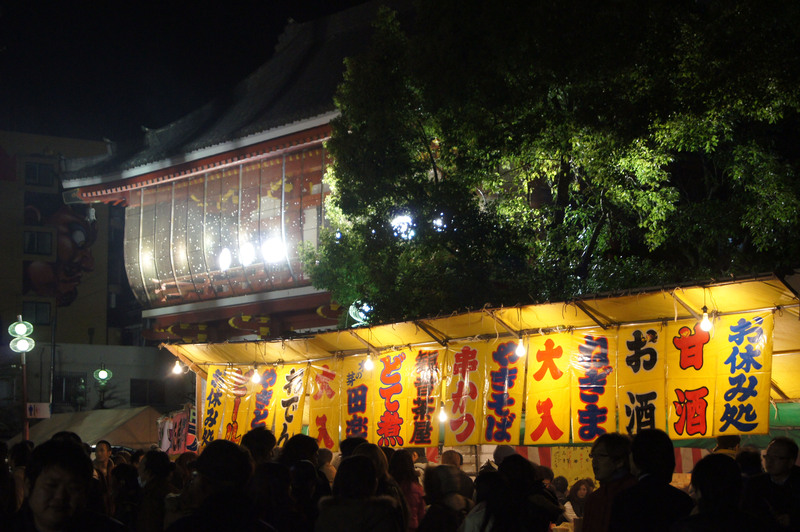 Although there are countless places to visit on New Year’s Eve, one of the liveliest is Osu Kannon, a temple that is busy most days of the year and packed to the brim during the holidays. People have been known to line up for three hours to get the chance to pray, but if you come for the food then the crowds may be worth any hassle. Outside the temple there are about a dozen stalls selling a range of foods. Some of the Nagoyan options include miso kushi katsu (battered and deep-fried pork dipped in miso sauce) and doteni (the more sinewy cuts of beef smothered in a thick miso sauce), which range in price from ¥100 to ¥1000. The biggest draw is the large yakitori marquee, which is one of the few covered, heated areas. Seats go quickly and when you do get a table, expect to share it with friendly strangers. Most of the chicken options range from ¥100 to ¥150, while the beef can be upward of ¥500. No matter what you opt for, the food is far from gourmet. When I got atsukan (heated sake) last year, for example, it was served in the same paper cups usually used to serve fried chicken . . . there may have even been some stray batter floating around — but it’s still a window into a side of Japanese culture many may otherwise overlook. 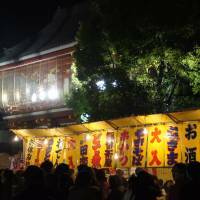 The food is cheap, fast and undeniably delicious, and the dimly lit temple, along with the tolling of the new year bell, make this an experience that should not be missed. 2-21-47 Osu, Naka-ku, Nagoya, Aichi Pref. ; 052-231-6525; www.osu-kannon.jp; nearest station Osu Kannon.